You can set up anything from multiple contracts to cities and towns you work in. You get 24/online real-time booking right on your website. Work order data auto-populates: confirmation email, report delivery email, contract, report, cover letter and invoice/reciept. You get a full interface to record and create reports on inspection callbacks. You get alerted if you double book or if you inspected a home before. 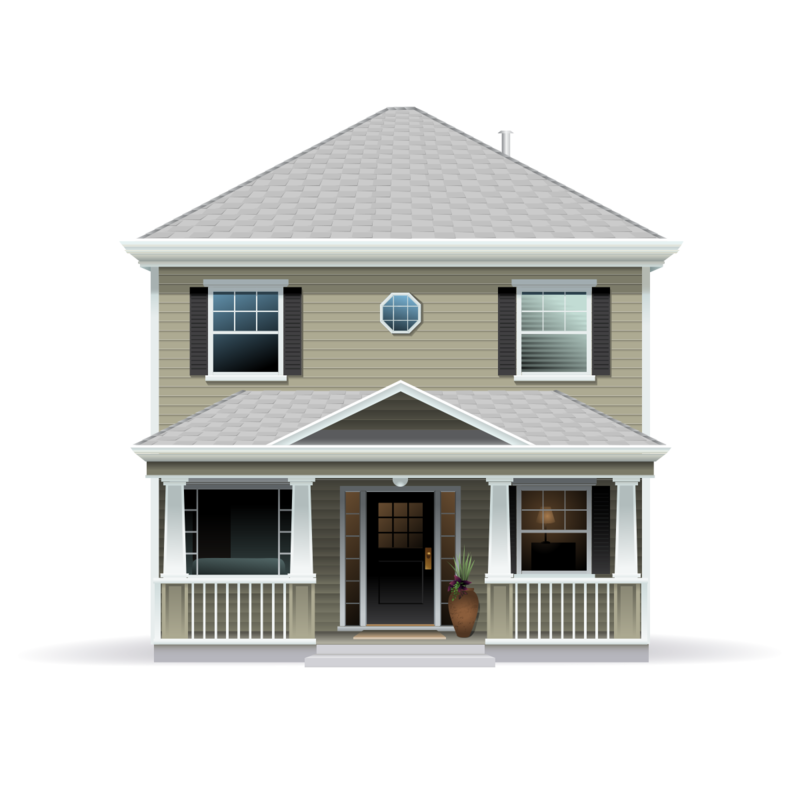 As a home inspector, your time is valuable. 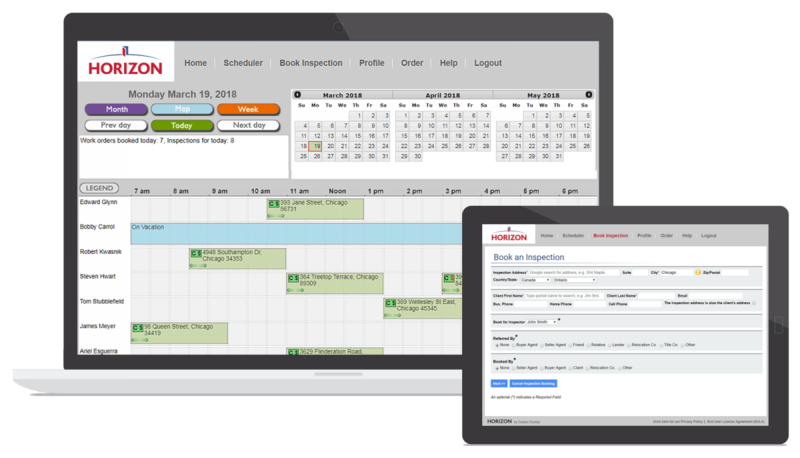 Horizon’s Scheduling system is designed to optimize your time by making booking tasks more streamlined and efficient. Plus, it integrates with the entire Horizon system so that everything you need to run your home inspection business is in one place. Horizon makes sure that you get inspections booked quickly and easily, that you don’t miss out on any inspections, that you get contracts accepted and that you get paid. That’s because Horizon is not just Report Writing or Scheduling software. It’s a database. It keeps track of all the important details and conveniently puts them at your fingertips. You only enter information once and it appears everywhere — report, cover letter, contract, invoice and emails. It’s the complete office system that eliminates booking mistakes, makes you look more professional, but most of all, saves you time. “I picked up two agents last week when I inspected a house they listed. Both were so impressed with the report they now use me as their “go to” inspector.